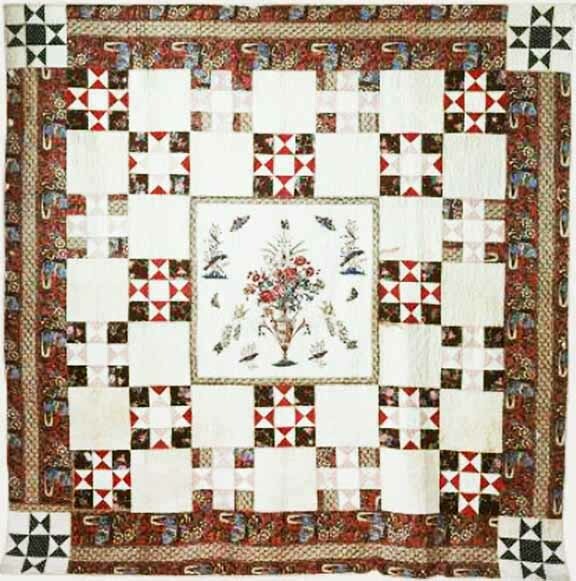 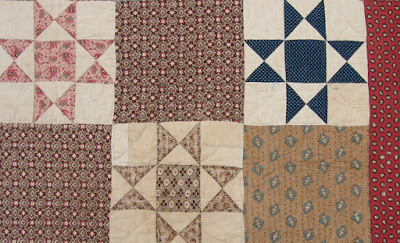 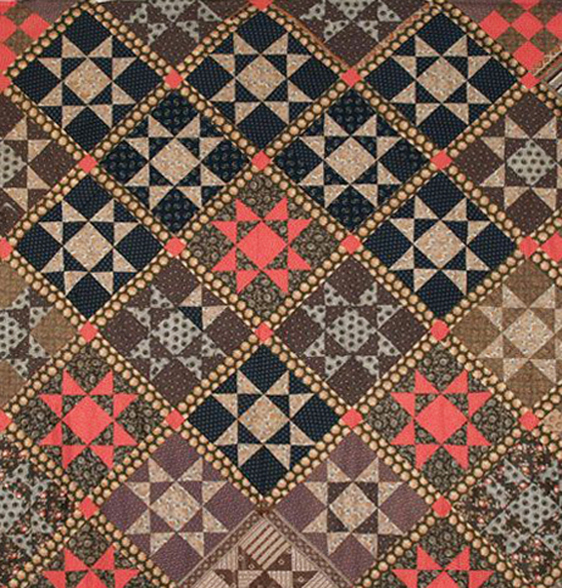 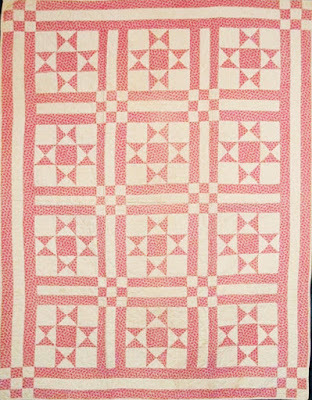 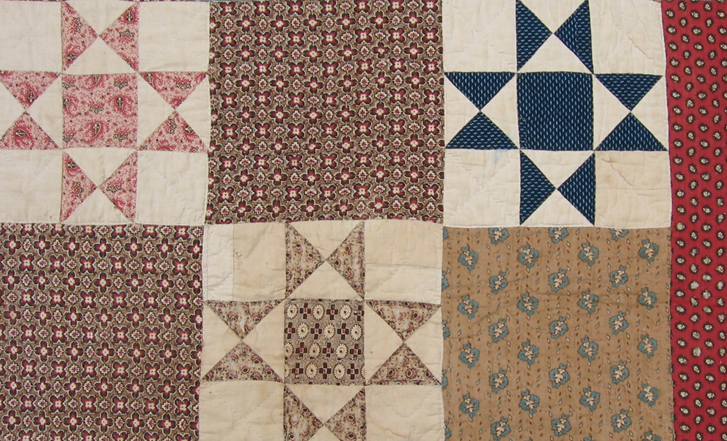 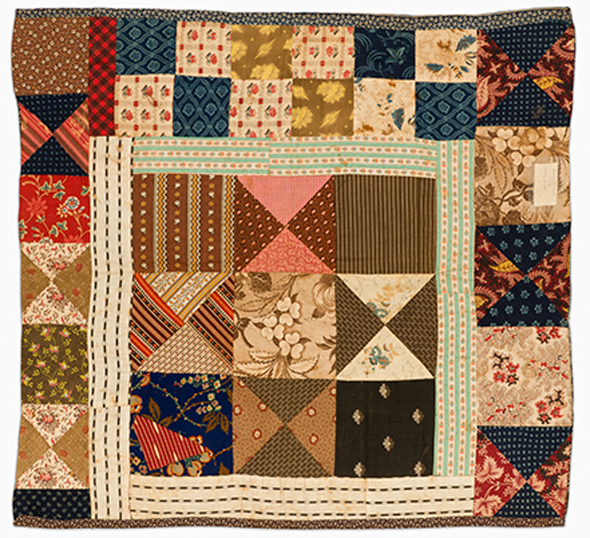 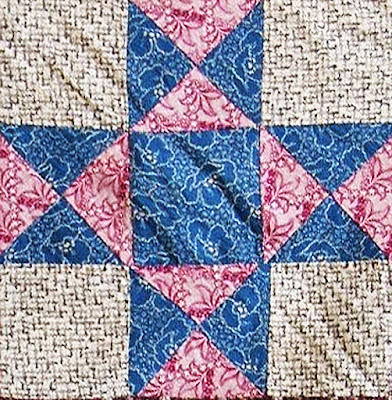 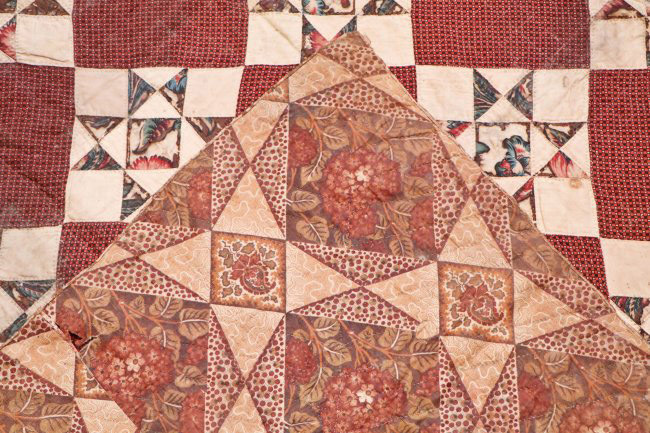 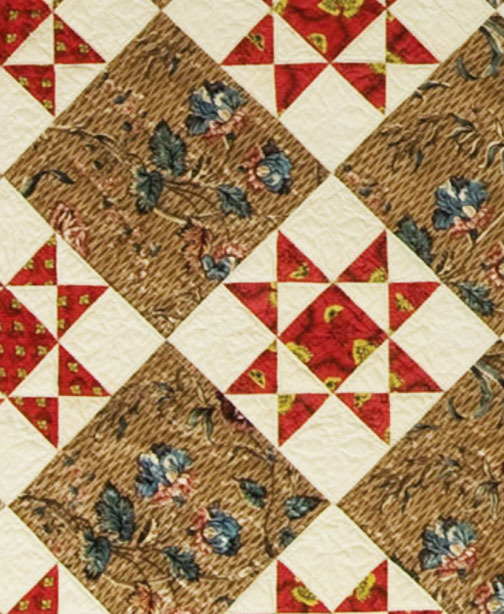 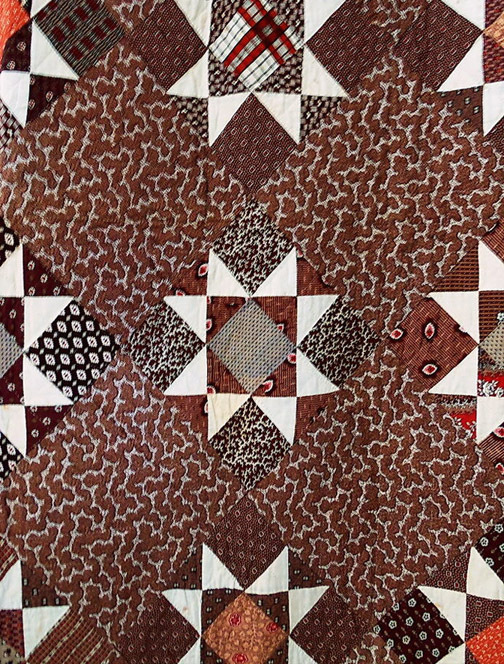 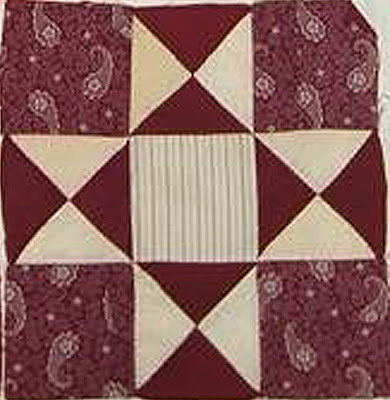 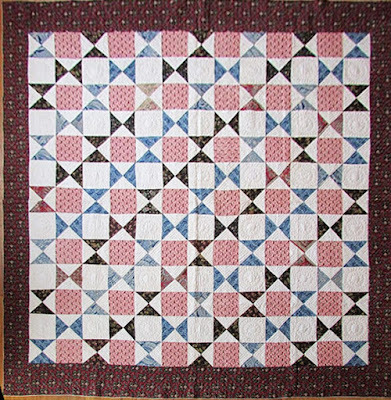 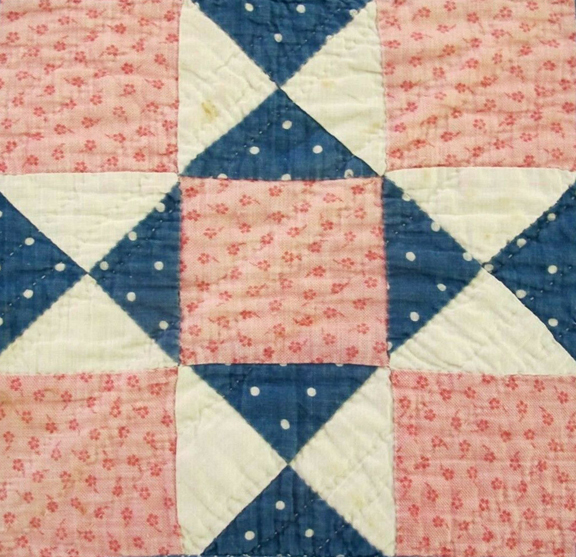 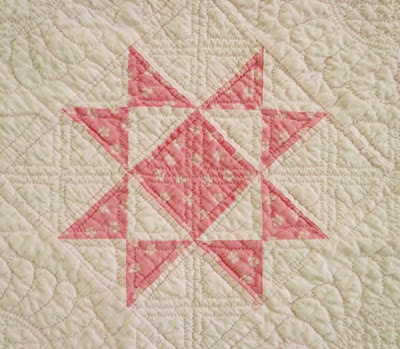 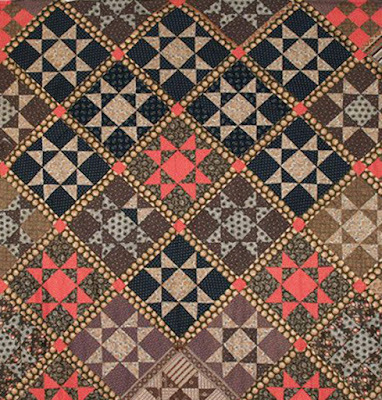 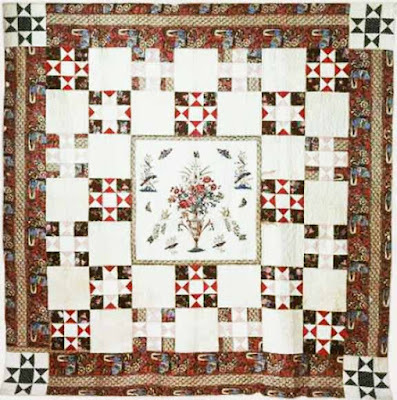 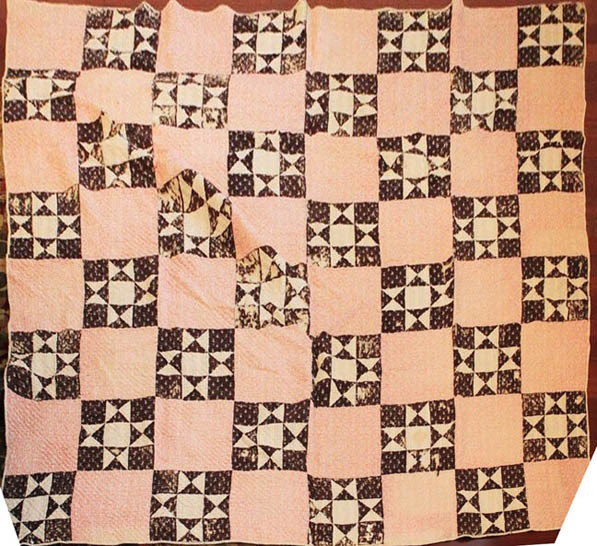 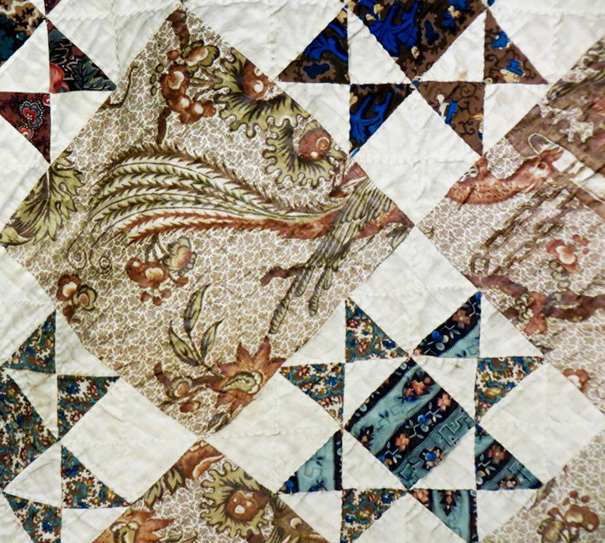 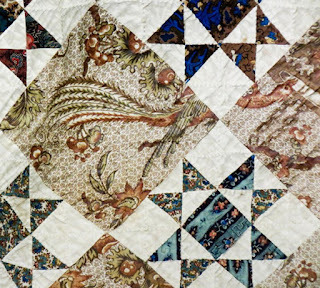 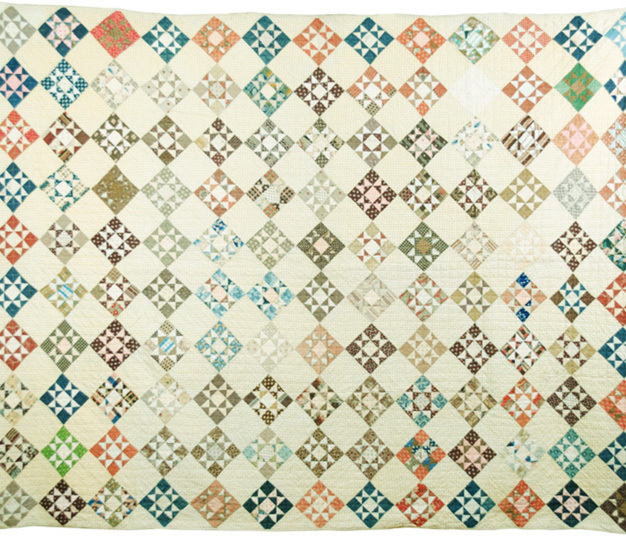 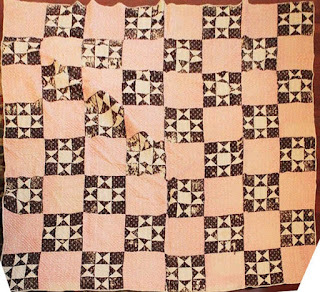 Eunice's star quilt pattern is one of three common nine-patch star structures we see in antique quilts. 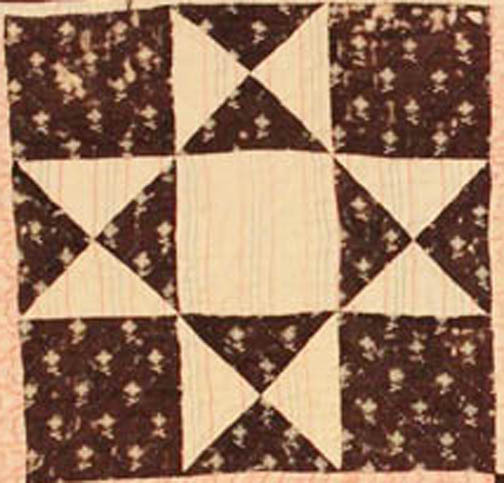 We tend to call it Ohio Star. 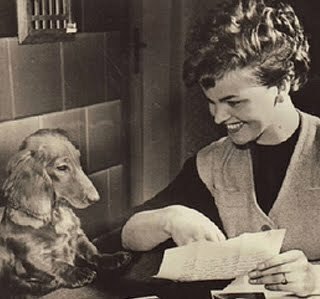 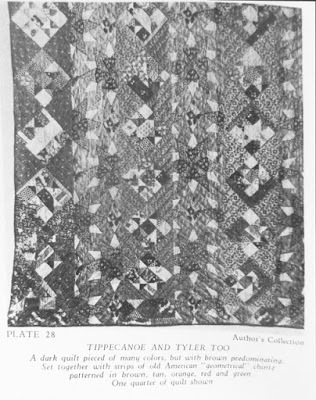 It has many published names, which I will get into later. 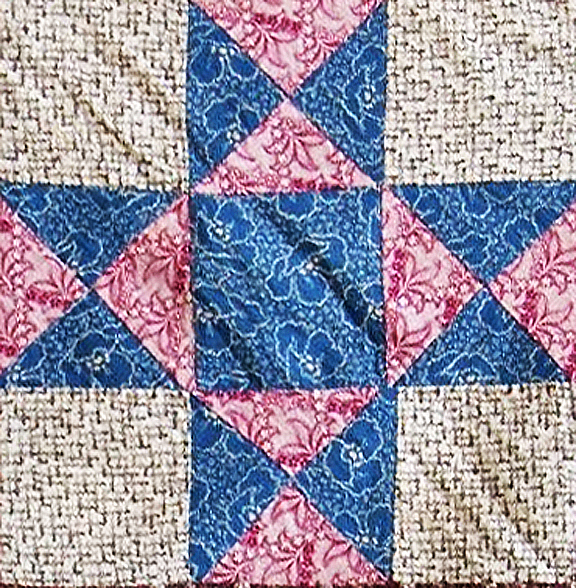 This one looks older, the light blues are a toile. 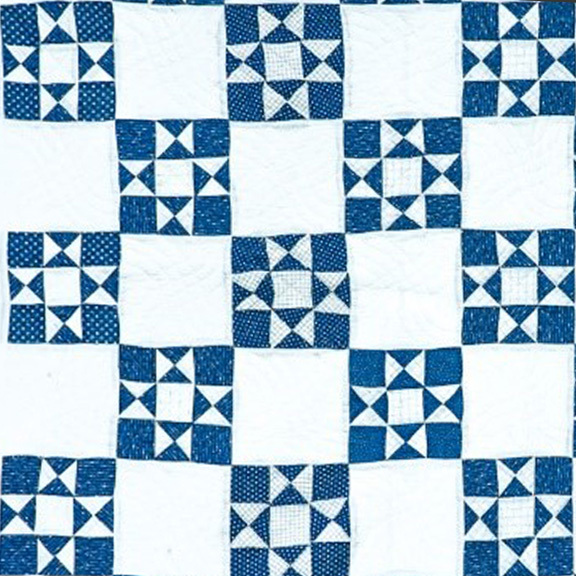 The blocks are often set on point. 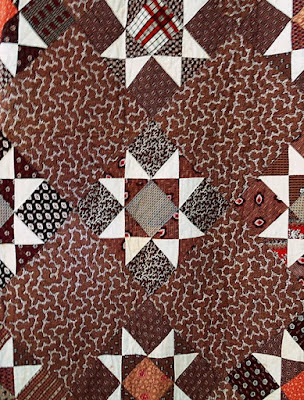 With a John Hewson panel in the center. 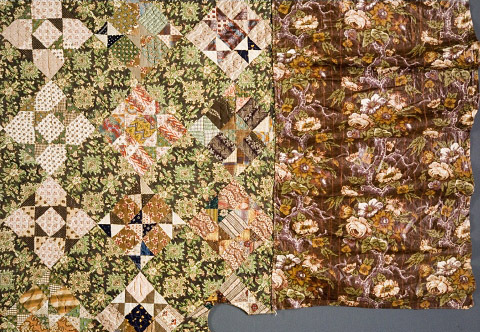 A date consistent with some of these chintz-style quilts. 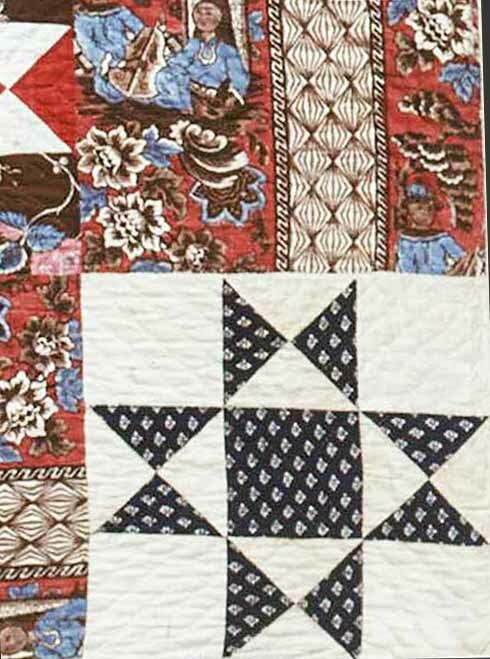 Fashion seems to have dictated busy stars alternating with blocks cut from furniture chintzes in the 1820-1840 years. 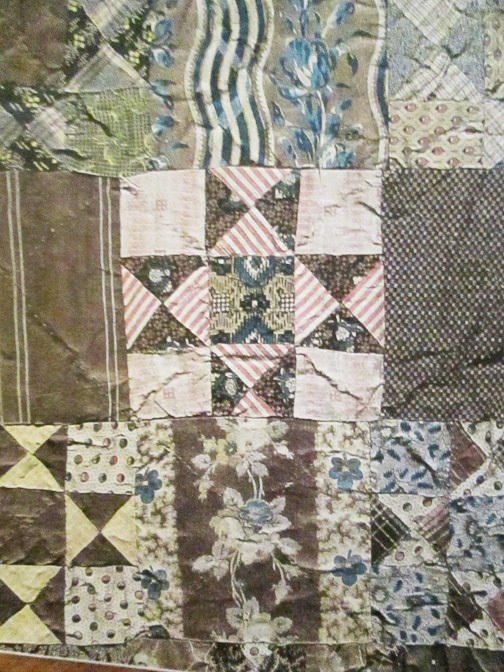 a quilt she owned, trying to figure out the pattern. 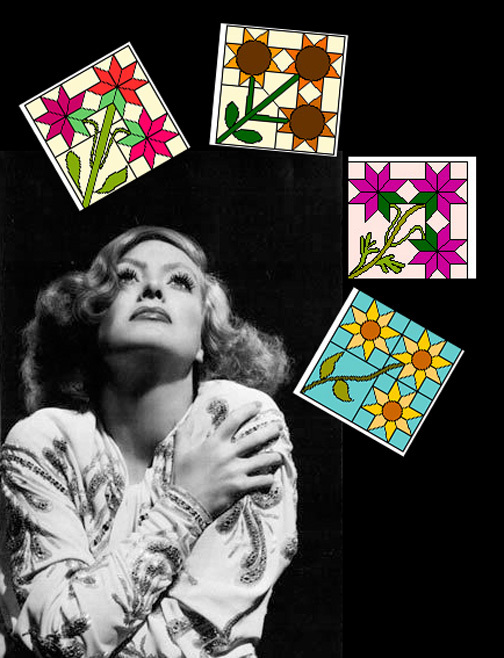 Now I see what she meant. 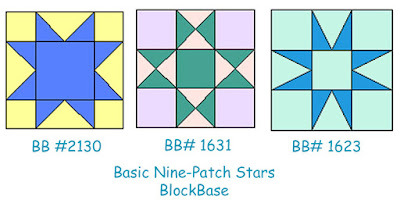 The stars are set on point in strips. 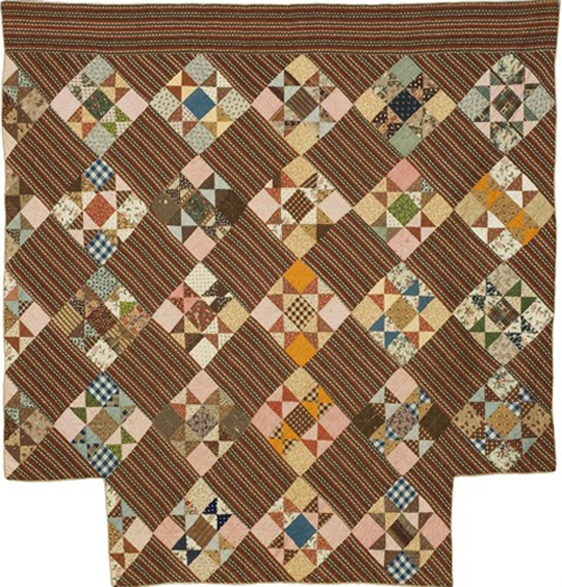 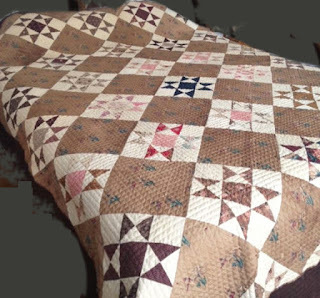 "A dark quilt pieced of many colors, but with brown predominating. 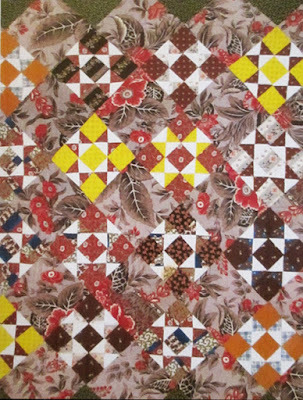 Set together with strips of old American ''geometrical' chintz pattern in brown, tan, orange, red and green. 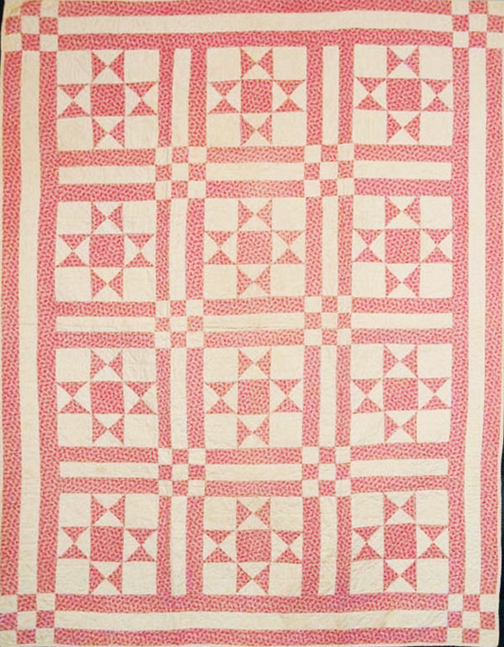 One quarter of quilt shown." 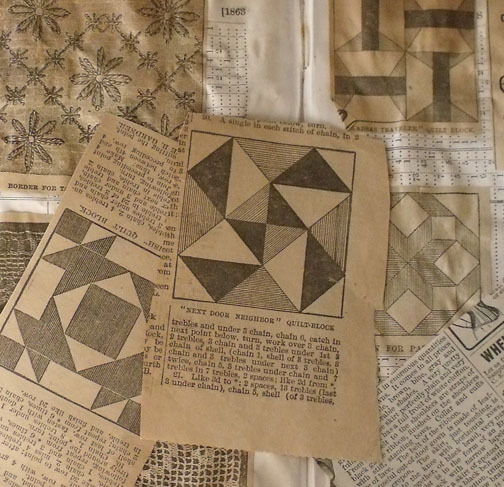 By geometrical chintz she means the kind of print we call cheater cloth. 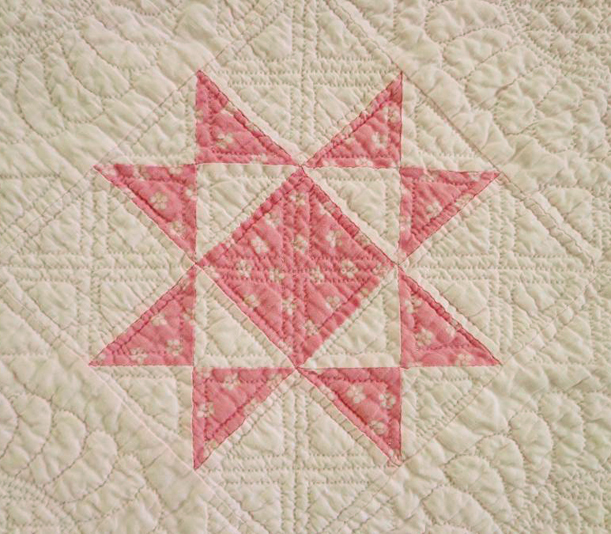 As in the back of this star. 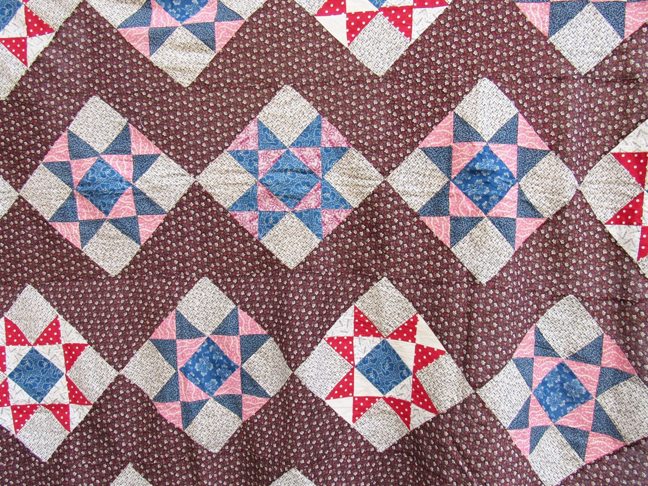 I have not seen this particular piece of 'faux patchwork" before. As fabric grew more abundant one could create a color scheme of scraps. 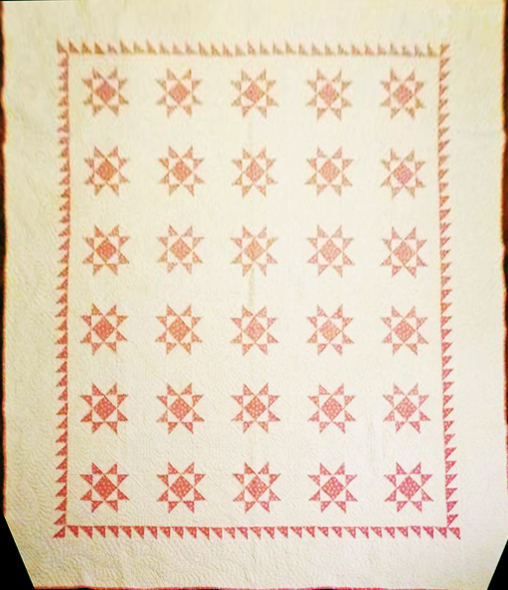 Taste changed again. 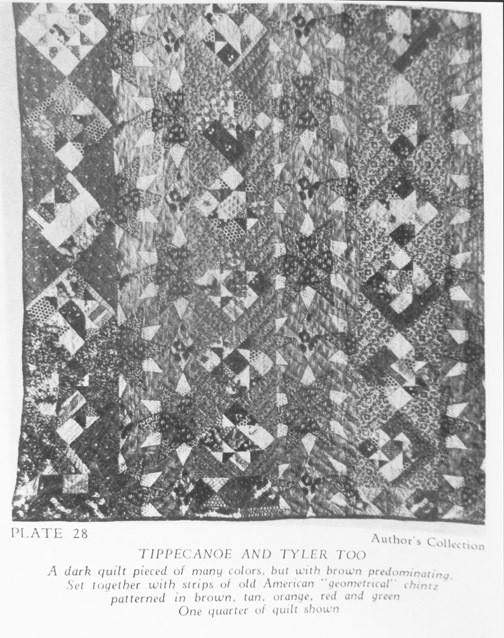 I have very few photos after 1920. 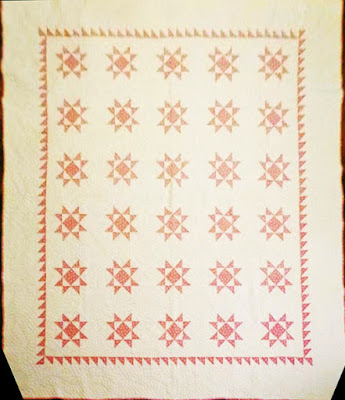 This pink and white version is dated 1936 with initials B.M.E. 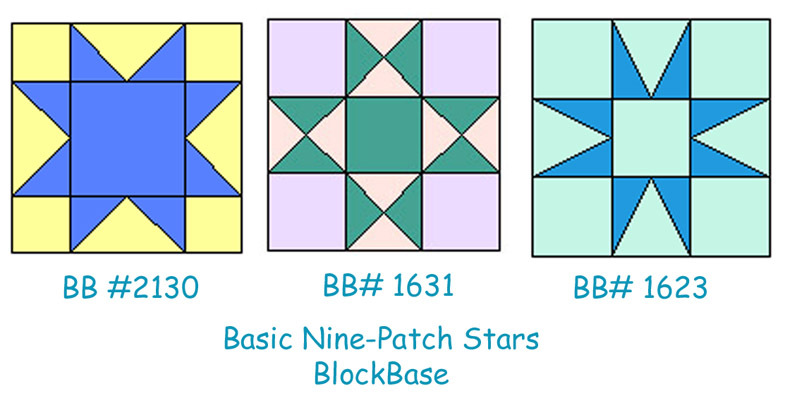 The block seems to have fallen out of favor. 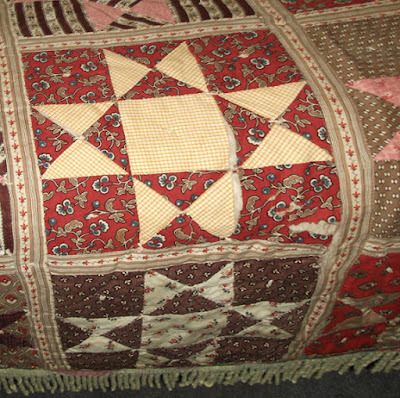 That quilt from the New England Quilt Museum is currently on display in one of the study storage drawers. It will be on display for another week or two.